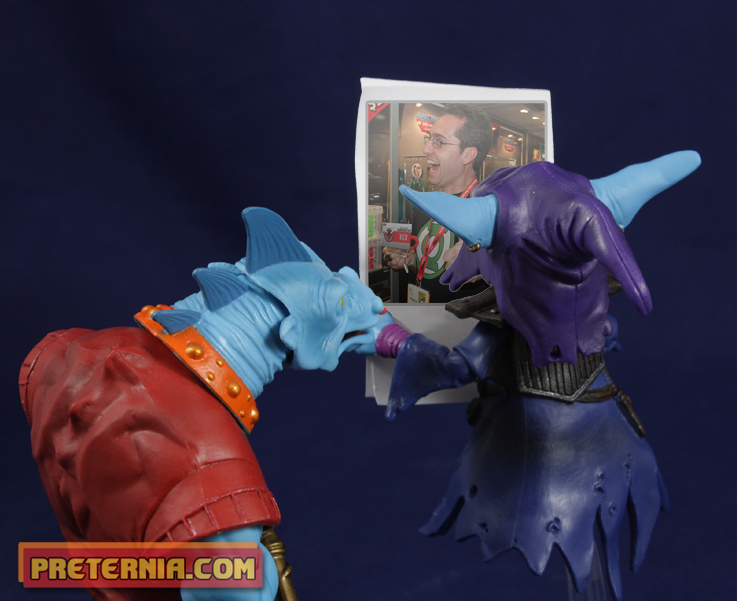 A mysterious figure described only as a “love letter” to fans of Masters of the Universe Classics was announced as the Club Eternia exclusive figure. He was supposed to be a big secret up until the first person opened their figure and then posted pictures all over the internet. This may come as a shock but it did not all go down like this. 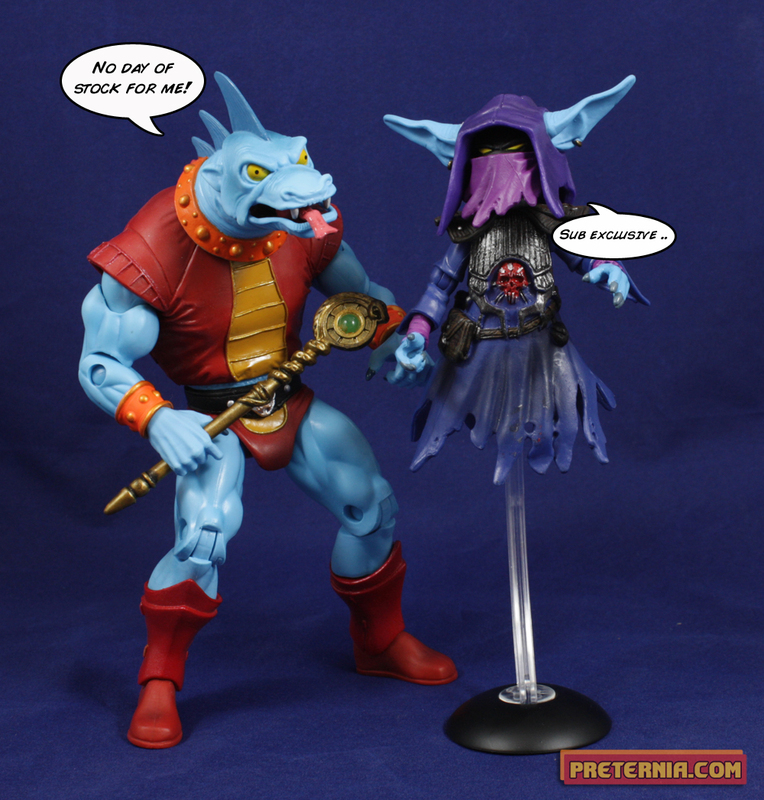 We actually made it to about February before the first leak occurred, a carded image of an evil Trollan who people familiar with Masters of the Universe fan-fiction know as “Gorpo.” If you have ever interacted with internet fans of MOTUC it’s pretty easy to guess what happened next. I think most people were just surprised. I know I was because in a way I was expecting a full-sized figure. 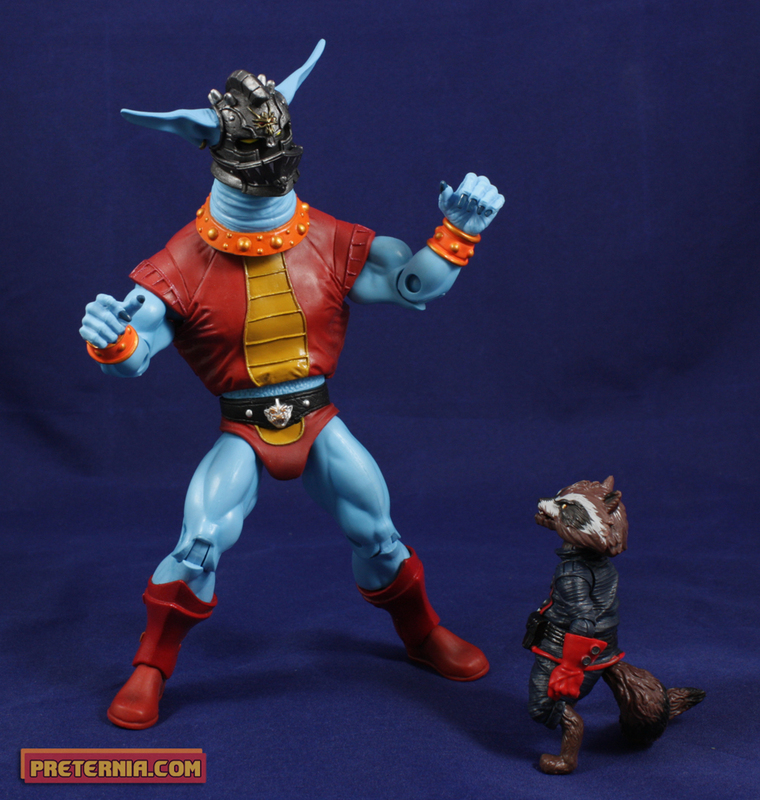 A few people called it the “biggest disappointment in toy history.” I think that may be taking things a bit too far. But I always do enjoy when people blow things out of proportion to the point of it being comedic, so some good does come from this sentiment. 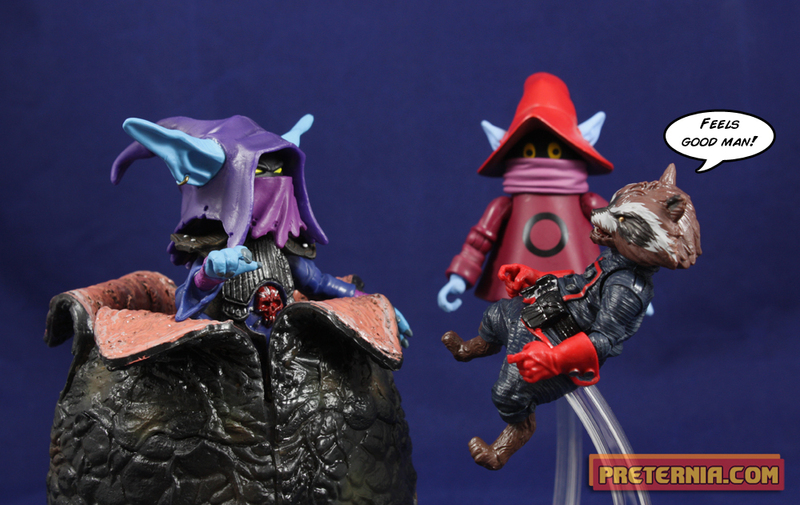 Giving the already over-dramatic fans of Masters of the Universe almost six months to ponder over what the Unnamed One is was bound to set some of them up for disappointment. 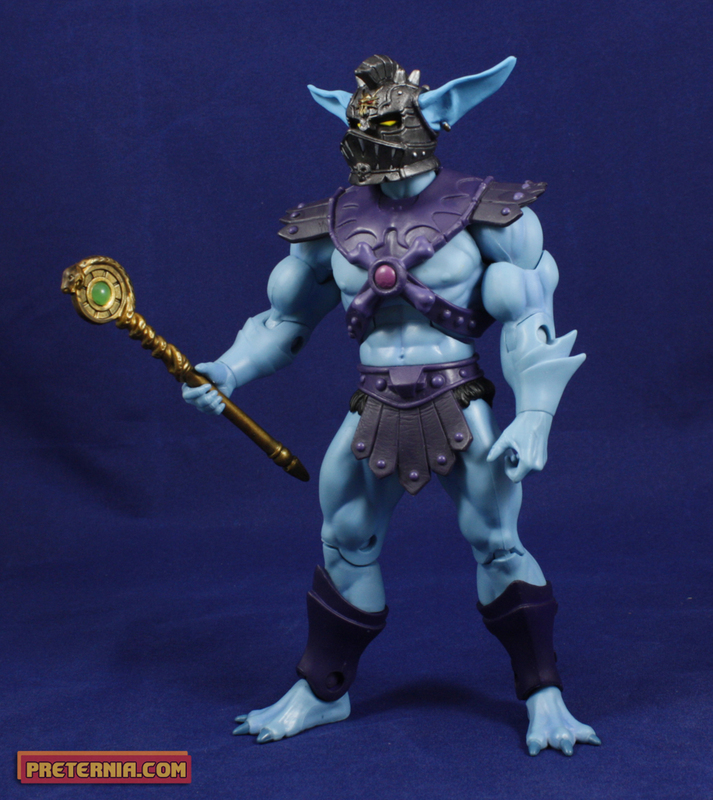 My guess was that he would be some type of Skeletor variant that you could swap some parts around and make him into a “God Skeletor.” I should have thought smaller! I’m actually quite fond of the little guy. He fits quite well into my universe of masters. Gorpo turned out pretty decent. I like the guy but I do have a couple of issues with him. My first issue is the price. We pay the $25 club fee (the price of a normal figure) which gets us the subscription exclusive figure. For the price, Gorpo is a little light on what he comes with. 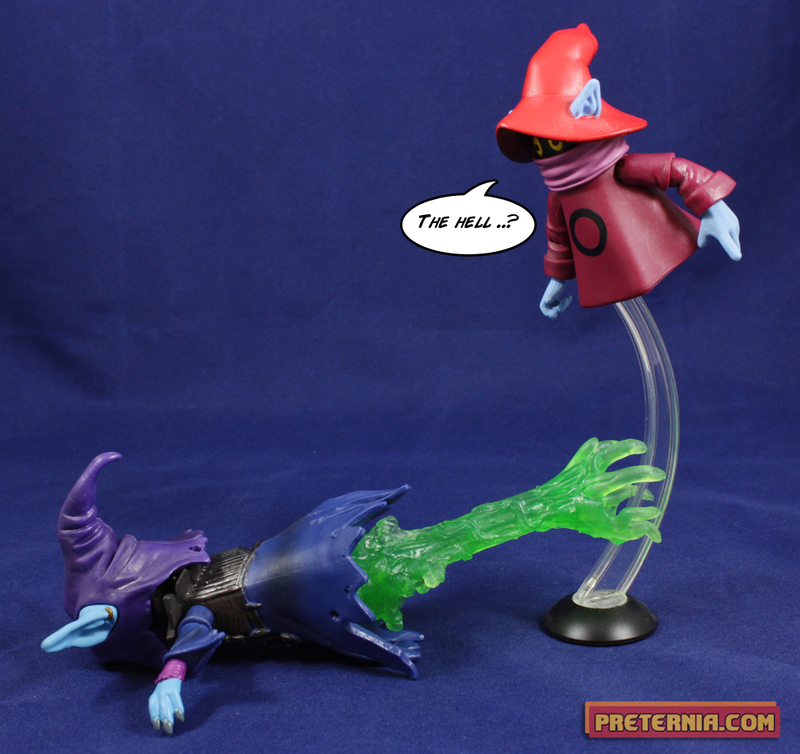 He’s a small figure that comes with a stand, green construct, staff, and alternate head. I suppose I could count the mini-comic, but much like the bios they never really appealed to me. He has a decent amount of accessories and an extra head which is great, but at the $25 price point we could have done a bit better. 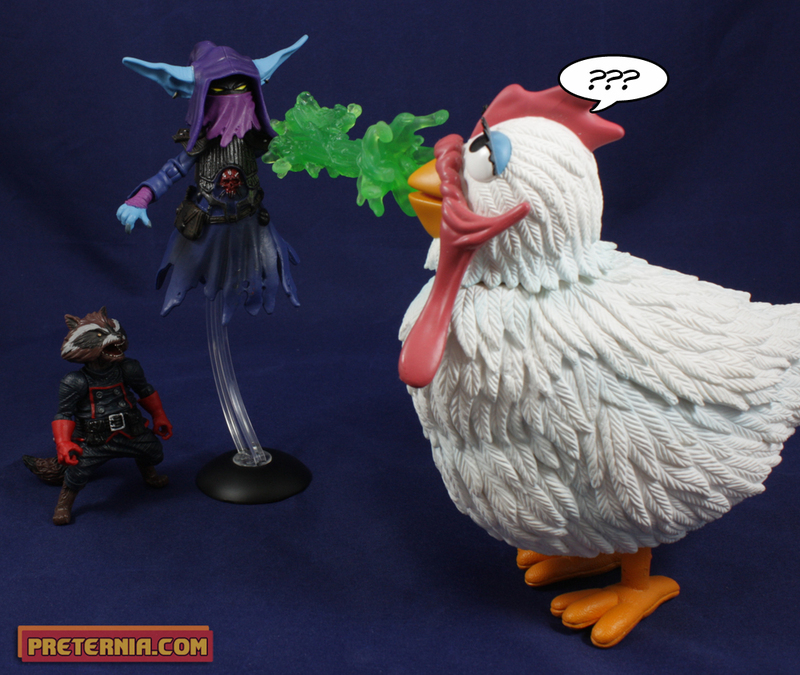 Let us not forget that $25 also brought us figures Mantenna and Two-Bad. That amount should get you more figure or at least more with the figure. There are plenty of little guys that could be packed in with the most evil entity in the galaxy, or whatever Gorpo is supposed to be. Yeah, the head has a bit of a hard time working with any body. That’s a shame too because it is a cool looking head. Unfortunately he makes my Dragon-Man look like some kind of fucked up Goomba from the Super Mario Brothers movie. On the subject of things that may confuse people, using the “Dare Son of He-Man” tag on his box is sure to make a few people think that Gorpo is the son of He-Man. I’m okay with this confusion. I hope it happens more often than not in fact. I would love it if the result of this figure is that people think He-Man and his mystery lover births some crazy, long-eared, Trollan love child. Despite my nitpick I’m still a fan of the Gorpo. 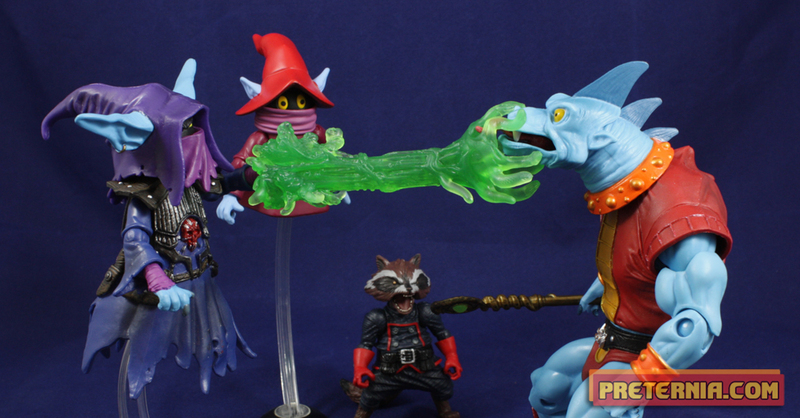 New (as in characters than have not had toys made of them before) figures always excite me. I’ve been through a couple of Masters of the Universe re-brands. I’ve seen the Evil-Lyns, Two-Bads, and Clamp Champs been done before, so I generally know what to expect with them. 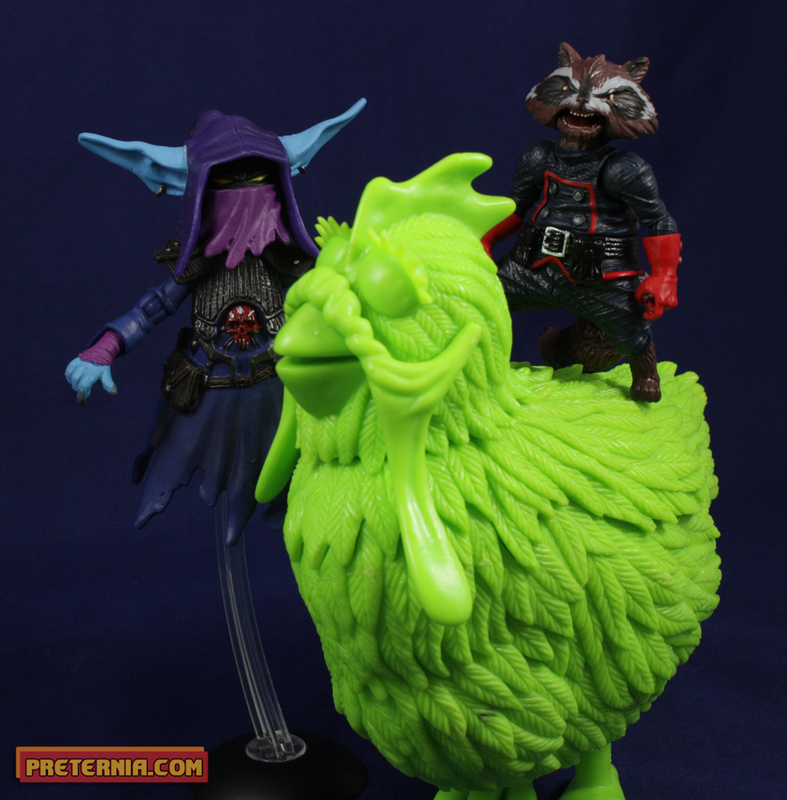 On the other hand figures like Unnamed One, Batros, or Cy-Chop I have no preconceived notions of and can just enjoy them for what they are. Feels good man! 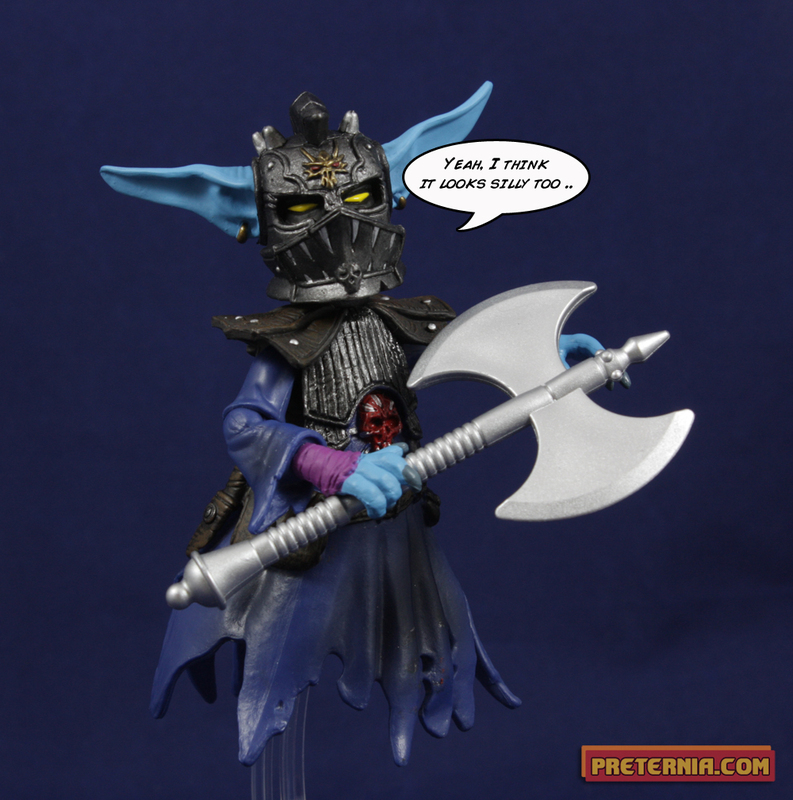 The Unnamed one comes with the baggage of being a club Eternia exclusive. Which means if you didn’t subscribe you had no way of buying him direct from Mattel. You always have the option of eBay or Amazon but expect a bit of a mark up. I don’t think the demand is huge on him right now so while he may cost you a little more, at least you can probably have one for under $50. Of course I had a bit of a problem with paying $25 + shipping for him, so I guess it all depends on how much Gorpo is worth to you. That last picture had me in stitches! Nice review. I got my quarterly shipment yesterday. I actually had successfully stayed away from all spoilers, until the night before my box arrived I accidentally caught glimpse of him scrolling through websites. Oh well. Overall I think he looks really cool. 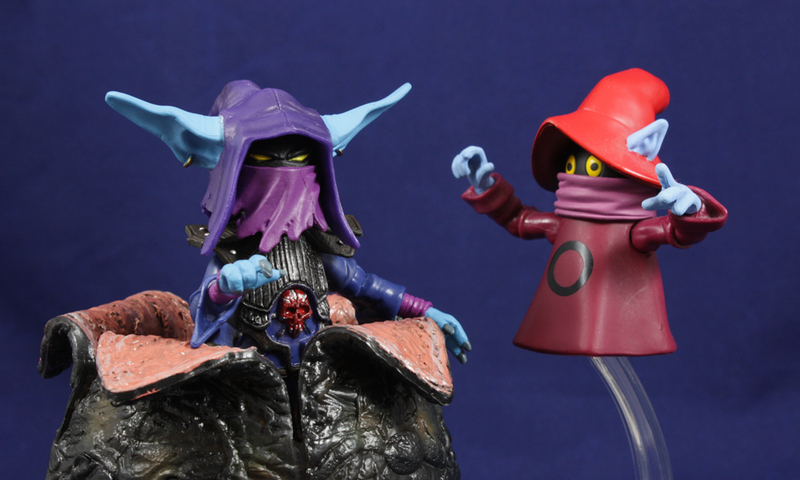 I haven’t opened any of the MOTUC figures I got yet since I’m on a transformers kick right now; but I’ll get around to it over the next couple of weeks. I will say, if it wasn’t for the quarterly shipping option, I would not have subbed. It really does save a good amount of money, all figures (Unnamed, Two-bad, Glimmer, Hydron, Modulok) came in at just under $30 each after tax and shipping. On top of that I didn’t have to wait for that horrible two-week shipping option that somehow costs $12, I got mine FedEx and it took three days. I can live with that. I agree, I think he’s a cool looking figure as well and fits in fine on the shelf. Good to hear the quarterly shipping option worked out for you, I would have bet money something would go wrong. I think if I only had one sub quarterly would be the way I’d go. However I’m so damn impatient. I have a feeling I’d go into quarterly and then be sad when something like a Modulok comes out and I’m two months away. I’d say also I’d want them monthly to review but I end up not reviewing about half anyways. 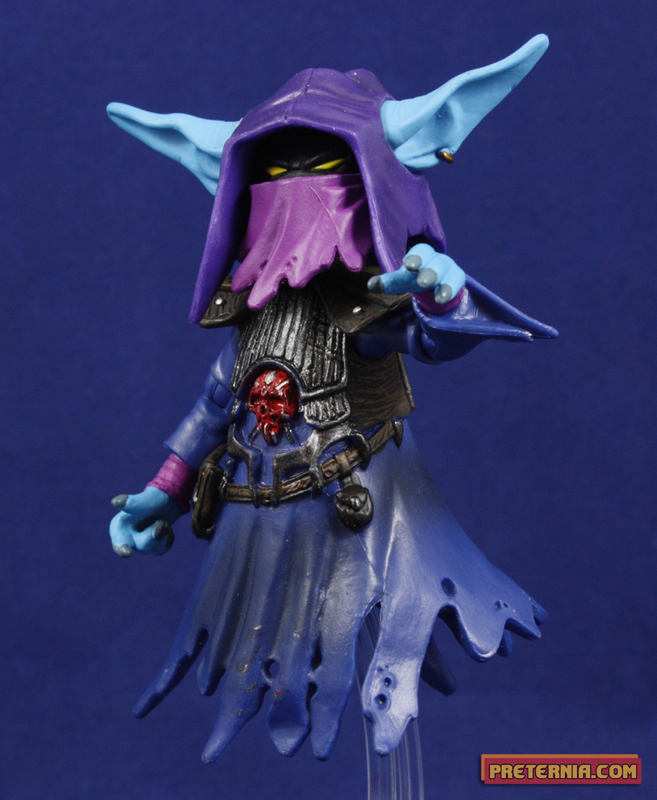 I dunno… that alternate head looks pretty darn good on Skeletor. I’ve heard he looks even better on Dactys. Gonna try that tonight.